- Many DJs, producers, music journalists and fans have their own definition of Deep House. There is a definition on Wikipedia, NO definition in the Merriam-Webster dictionary, an entirely wrong definition in the Urban Dictionary as well as plenty of magazine and blog articles dedicated to the question. But in the end, everyone needs to make their own determination of what Deep House means to them. - This section is a collection of resources regarding Deep House, links to blogs, magazines, online portals and communities as well as radio shows, podcasts, record labels and much more. - YOU, the fan, the producer, the creator, the person behind the scenes, is encouraged to partake in the curation of these resources. Please add links that you see fit and can't be found yet and maybe together we can come a bit closer to the true definition of Deep House music. 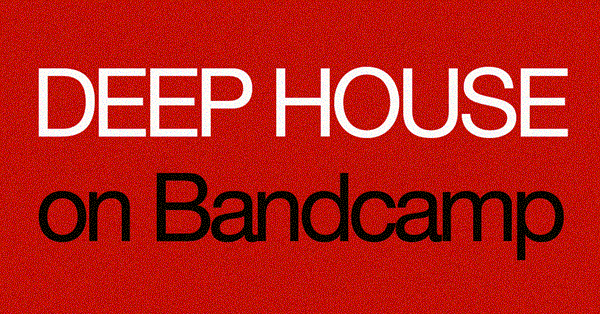 Please add your own or your favorite Deep House artist / label Bandcamp page. Simply find the "Add To List" button right above the list. NEW! I just created a BANDCAMP DEEP HOUSE group on Facebook. Whether you're a creator or user, you should join us! This list of Deep House podcasts is already growing thanks to your additions. Please keep adding your own or your favorite Deep House podcasts, find the "Add To List" button right above the list. If you're not quite sure about the direct link for the podcast, enter the website URL and I'll figure it out. What do yo think, should I make more of these lists? I think it's great to create more resources for Deep House fans.